Good dental hygiene is important for many reasons beyond a bright smile. To instill good dental habits in your child, get him started at a young age. It’s important to keep toddler teeth clean. Cavities form when the naturally occurring bacteria in your toddler’s mouth combine with sugars in the food residues left on his teeth, producing an acid that attacks his tooth enamel. Your toddler will need his teeth cleaned at least twice a day. After breakfast and after his evening meal are ideal times, but before bed is the most important time to brush a child's teeth; decay-causing bacteria are more likely to grow at night. Appeal to your toddler's sense of independence (only big boys and girls get to brush their own teeth), provide some tasty toothpaste and a small, soft toothbrush, and the task may be greeted with the same enthusiasm as a new toy. Now is a good time to get your toddler used to visiting the dentist every 6 months for a checkup. Do your best to make the occasion fun. If he's nervous, sit him on your lap in the "magic" chair so the dentist can have a quick look inside his mouth. Brush up on how to care for your toddler’s teeth. 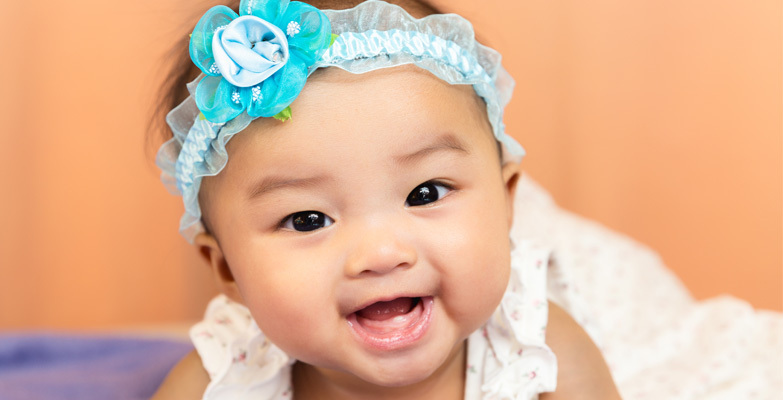 BabyCenter® offers advice on dental care for your toddler.